Everyday I use my diffuser with an assortment of essential oils at my disposal. When I’m feeling stuffy or congested I really like using peppermint essential oils. But you have to be careful with which essential oils you decide to use. Not all essential oils are created equal. Simply Earth is a wonderful company that develops high quality essential oils at affordable prices and donates 13% of it’s sales to various charitable causes. And I can confirm the oils are high quality and fairly priced. I’ve used various brand of essential oils and Simply Earth is a wonderful brand. 1. Get rid of Mice! Mice are allergic to peppermint oil. So if you take a pure essential oil like Simply Earth, place a few drops on a cotton ball and place them where you are having the mouse problem they will leave. Bonus is the area will smell wonderful too. And if it’s the holiday season people will just think your are trying to set the mood. I’ve used this numerous times to rid our garage of field mice. 2. Whenever I’m having that heavy, congested feeling in my head I bust out the Peppermint essential oil. I place a few drops in my diffuser and let it go to work. I also like to put a few drops on a wash cloth and take it with me into a hot steamy shower. The peppermint releases with all the steam and I feel much better. 3. Helps jump start my day! I can add a few drops to my shampoo and it’ll help get me going in the morning and relieve any itchy scalp issues I may be having. Did you know lice hate peppermint? Another reason to put a few drops in your children shampoo. If you hear of an outbreak happening at school just start putting a few drops in their shampoo and conditioner. It’ll help keep them out of your children’s hair and your home. 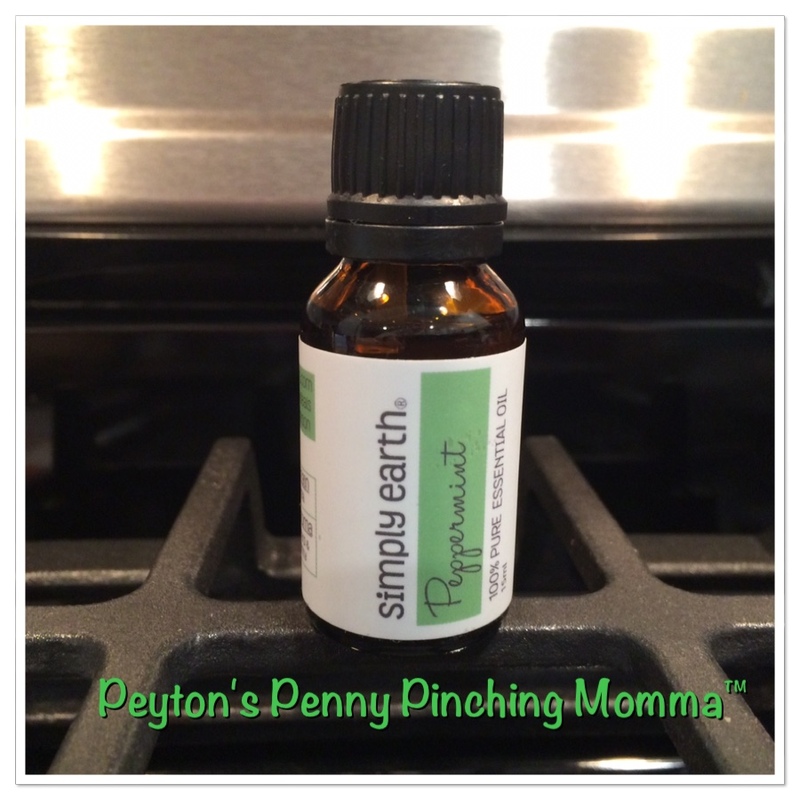 There are many many more uses for peppermint oil but those are just a few of my favorites. If you are ready to take the plunge and buy a bottle I suggest Simply Earth. They sell the peppermint oil in a 15mL bottle compared to many companies that only sell in a 10mL bottle. Plus it’s family owned and only uses the purist ingredients. Pick up a bottle of Peppermint Essential oil online at Simply Earth and 13% of your sale will go to help prevent human trafficking or purchase on amazon.